Find fresh ways to celebrate the sacred seasons and enhance your practice with sabbat musings (Barbara Moore), tasty sabbat recipes (Anna Franklin), Witchy tips (Elizabeth Barrette), and essential oils (Tess Whitehurst). 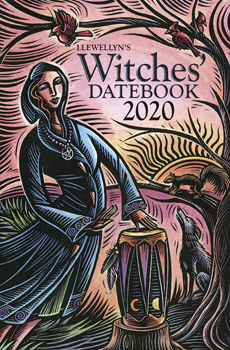 Also included are fascinating articles on guiding goddess archetypes (Danielle Blackwood), pop culture protection magick (Emily Cardin), chakra healing (Melissa Tipton), honoring personally sacred days (Laura Tempest Zakroff), and more. This indispensable, on-the-go tool will make all your days more magical.